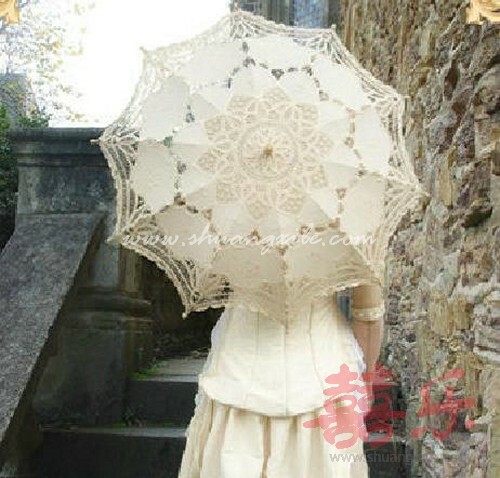 Home > Products > Wedding Accessories > Photo Props & Decorations > Battenburg Lace Parasol~New! These fine crafted sun umbrellas are 100% cotton and feature a feminine and "vintage" look. 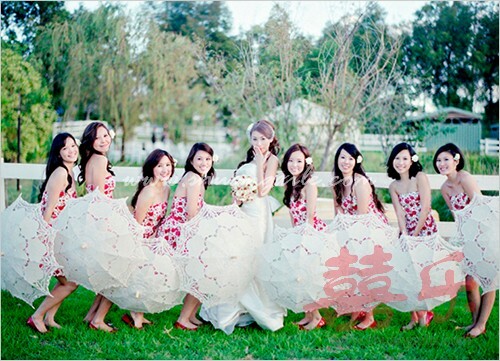 Ideal for wedding photo props. Straight wooden Handle, wooden Shaft in light natural wood color, metal ribs.